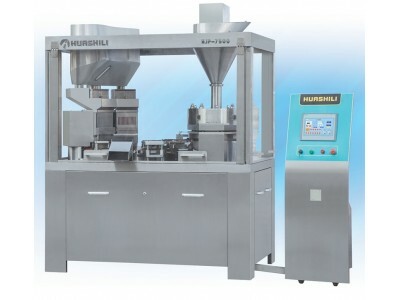 1.The machine is the most advanced self=developed hard capsule flling machine,absorbing kinds of different advantages of sinilar products around the world. 2.The machine adopts a cam driven structure on the surface groove ,and there are no springs on transminssion parts,which makes each part return of the moving system more accately. 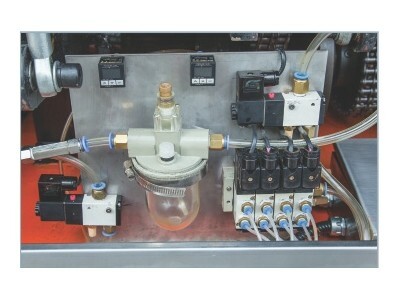 3.The closed lubrication system will lubricate all the transmission parts regularly and quantitatively and extends the shelf life of the whole machine. 4.The upper/lower locking structure prevents capsules from eiecting out and minimizes the loading difference of supplements. 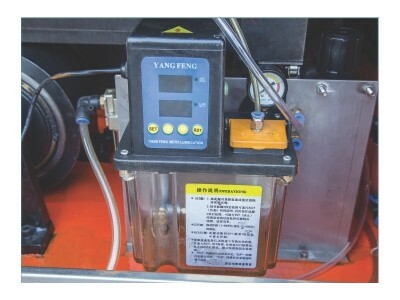 5.The 10.4=inch color LCD screen will automatically alarm or stop running in any machinery problems like lack of capsules pr powder,vacuum or dust collection failure,etc. 6.The imporeted motor,electrical appliance,bearings and high-precision intermittent dividing box make the controlling and transmisson systen much more stable in performance. 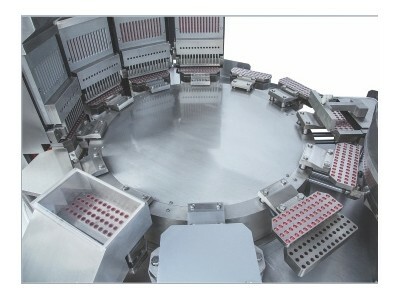 7.Do not need to disassembly the machine when cleaning the equipment or changing the mouids. 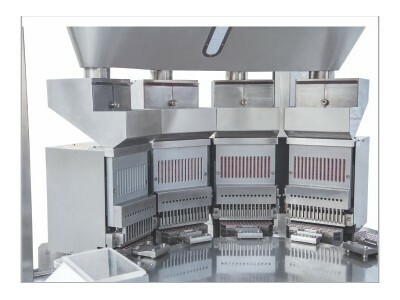 8.All kinds of clean liquids can be added to the machine to help automatically clean and disinfect the mould holes, to increase the feeding rate of capsules and to reduce the loading difference of supplements. 9.It is easy and safe to clean the machine since the machine is separated with the electricity. 10.The patent technology of dual gas supply increases the feeding rate of capsules and prevents the capsules from being froken. 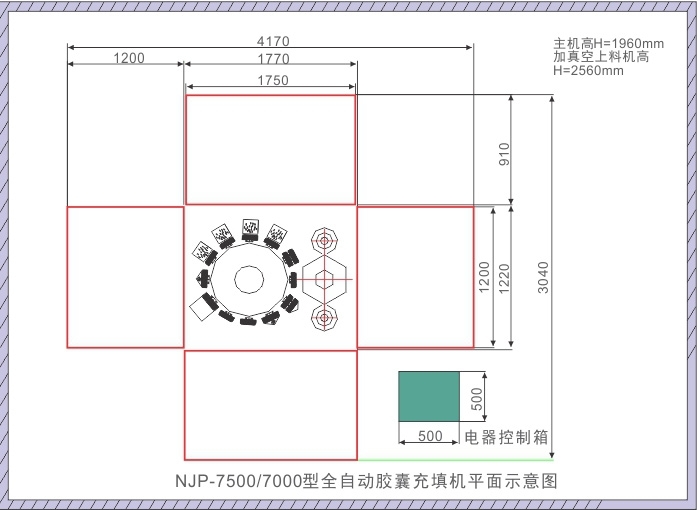 11.The extremely low design of the turntable reduces the inertia of the turntable and the abrasion of the spare parts, prolongs the shelf life of the cam dividing box and keeps the stability for the whole machine. 12.The filling system adopts the "inside cam" instead of the traditional "working rod" to increase the filling power and to reduce the vibration and noise. 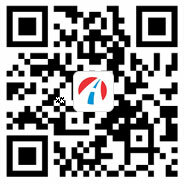 13.The machine has gained more than 20 technical patents in China.